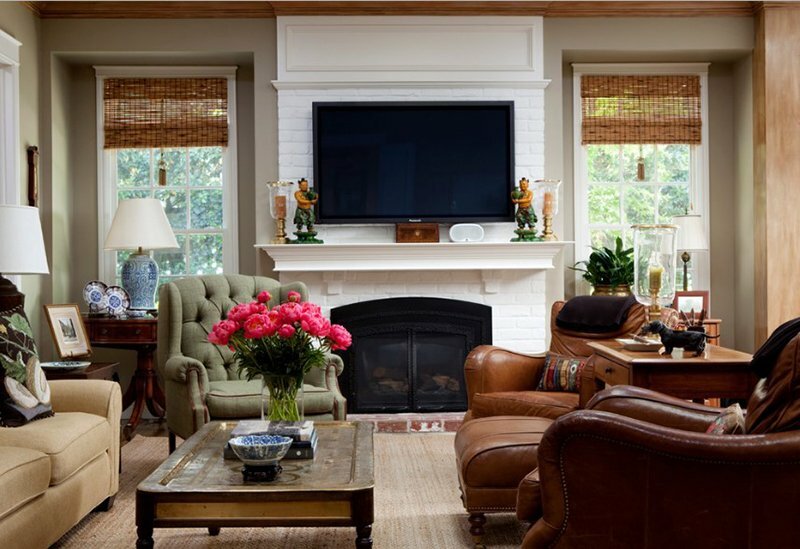 This living rooms will surely inspire you to bring in that brown leather chair! The furniture in our homes is made of various materials. It could be wood, plastic, steel, and others. There is also leather furniture which brings sophistication to the space where you add it. Leather is a common material used for sofa, couches, ottomans, chairs and others. But because of the material, it is more expensive. Although most of them would use synthetic leather instead of the genuine one, it still looks nice. This happens because the real ones come with a very high price tag. 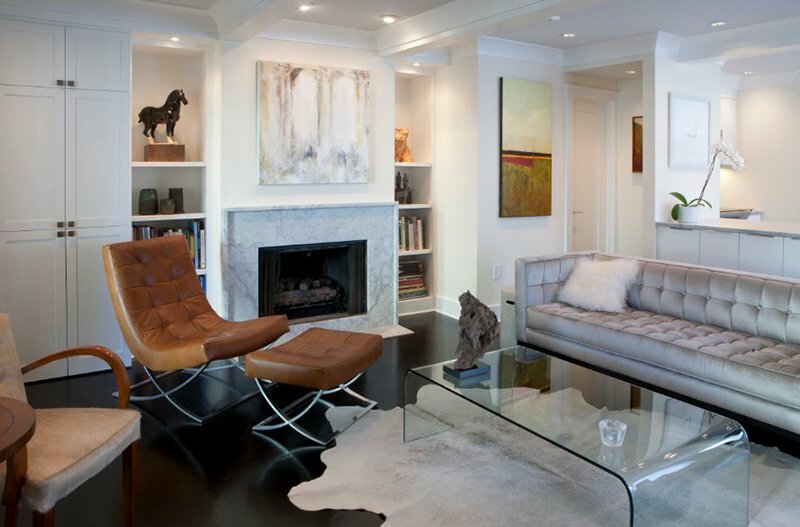 Today, we are going to show you some living rooms that features brown leather chairs. Well, when you hear the term “leather,” the color that is immediately associated with it is either black or brown. But there are also leather chairs that come in different colors like red and yellow which could be a bold addition to your home. 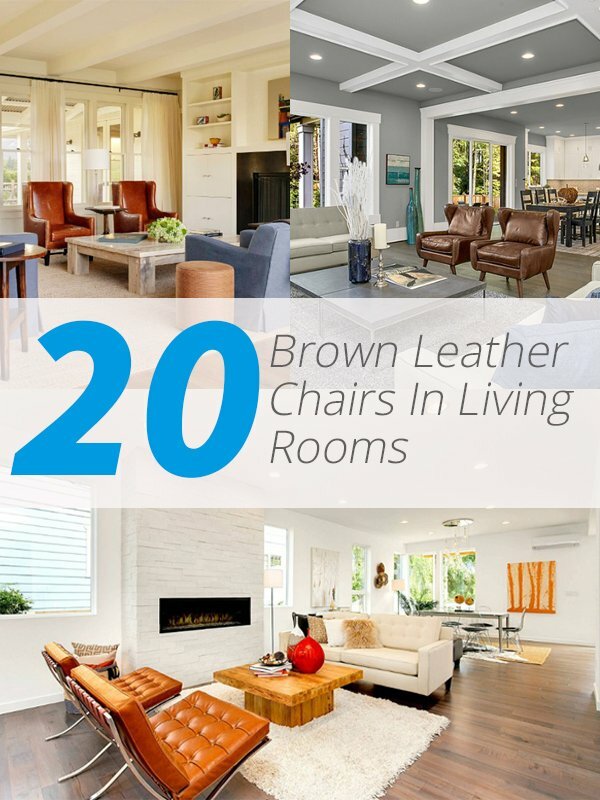 But today, we are going to show you a list of brown leather chairs in living rooms. With this, you will get an idea on how to set up your leather chairs which would depend on the design and size of your chairs as well as the shape and size of the space. So if you are looking for ways on how to add your leather chair in the living room, the well-designed spaces below will no doubt be a good source of inspiration. 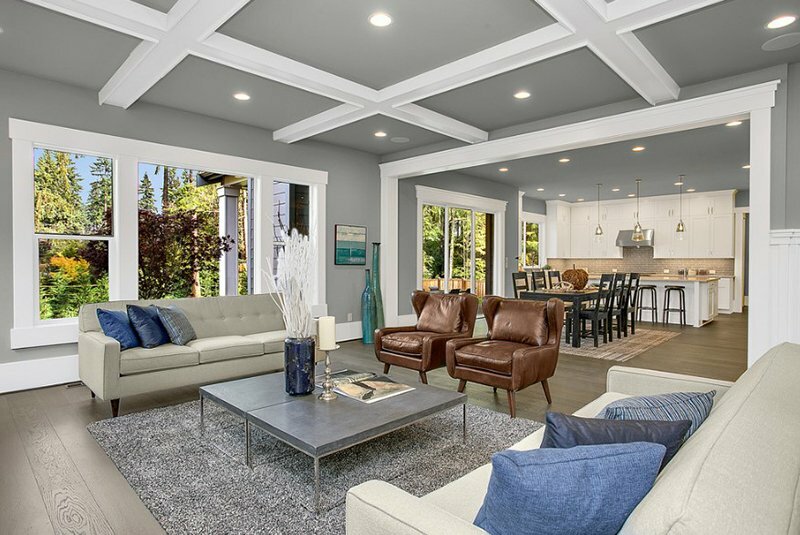 A comfy and cozy living room that features brown leather lounge chairs as well as a shag rug, and a large gray sectional. 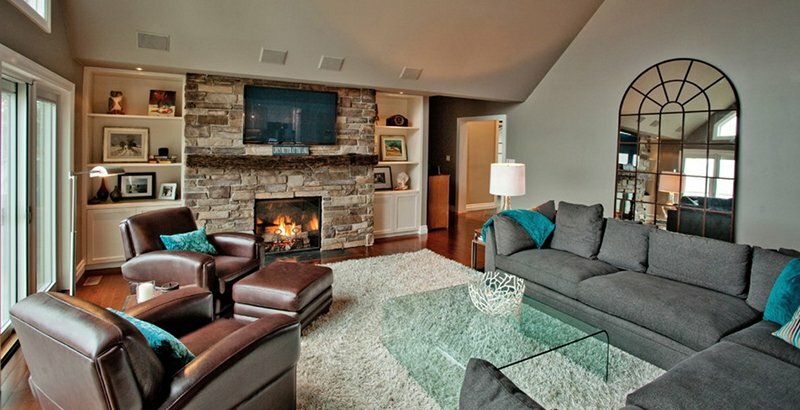 What added to the warm feel of the space is the stone fireplace surround. This living area made use of a marble fireplace which brings more elegance to the space. You can see here an American Leather chair which looks nice with the vintage cowhide. 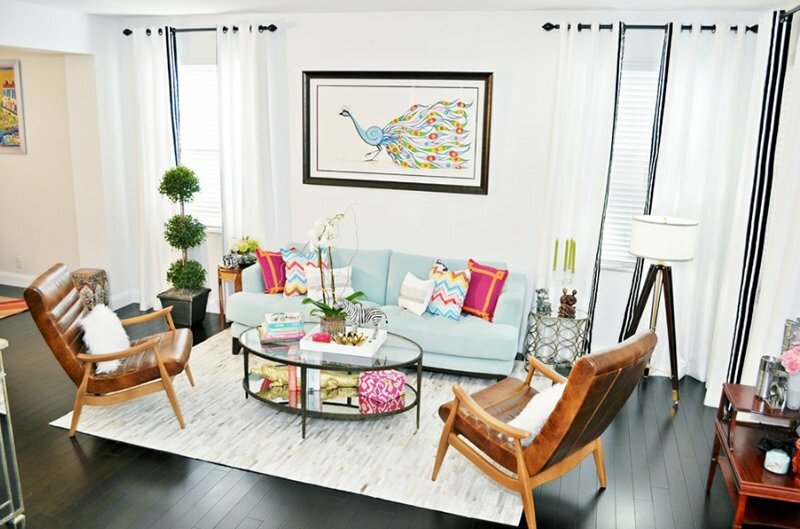 At first glance, the colorful throw pillows attracted my attention. 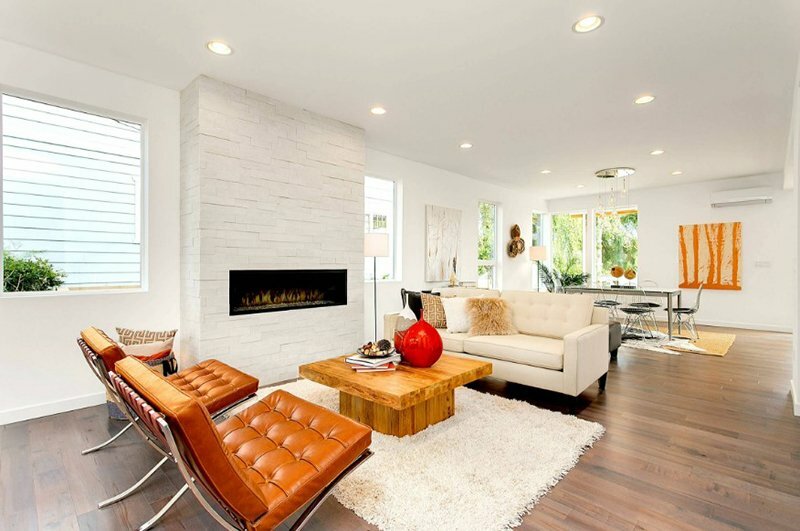 It is a good idea to bring light pastel colors that bring more zest to the area which features brown leather chairs. Black and white throw pillows are used in this space. But what made it lovely is the use of various patterns on the pillows. 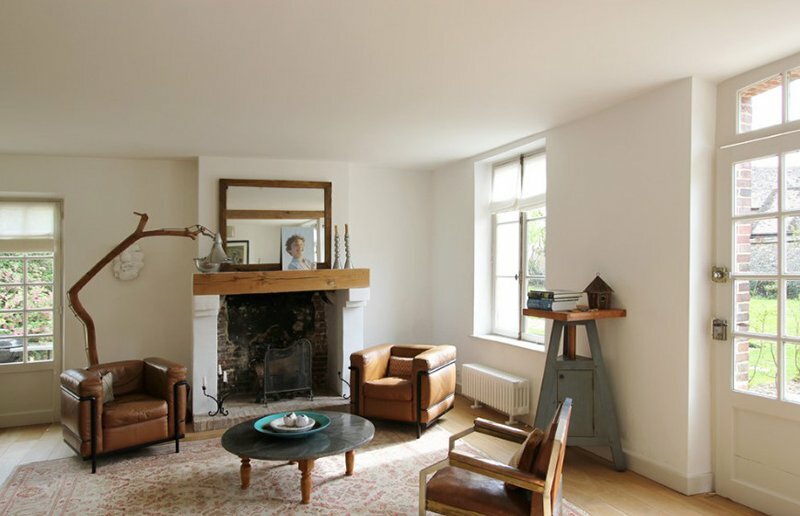 Also seen here are a pair of large brown chairs that compliment with the fireplace surround. A long and narrow living area added two brown leather chairs but it doesn’t have that boxy feel because of the window behind the chairs. The chairs in this living area look classic but the area has a contemporary style. Despite its classic appeal, it fits well in the space. 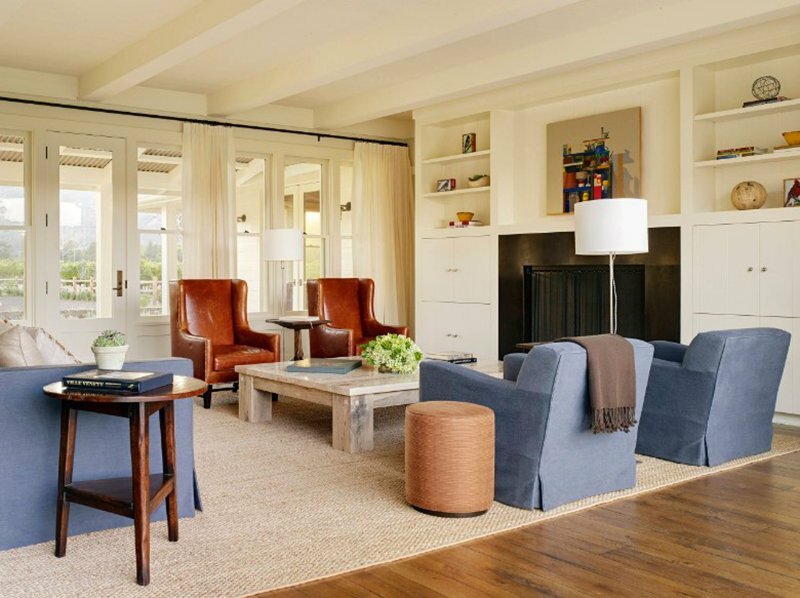 A neat traditional living area wherein everything falls on a shaggy area rug, bringing texture to the space. What I like here is the unique design of the furniture from the corner table to the curvy leather chairs. I’m sure you have seen this living area before here on Home Design Lover but we can’t just exclude this because of how beautiful it is. What really made this stunning are the colors from the painting to the chair. I know your attention was drawn to the ottoman that is pushed under the table but notice also how the brown chairs added more life to the area to avoid it from looking too dull. 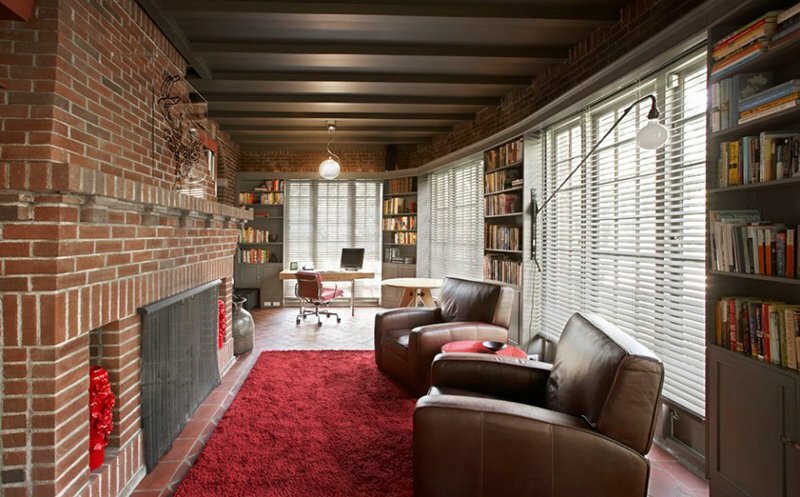 If you think brown doesn’t go well with red, then this space will make you think twice. 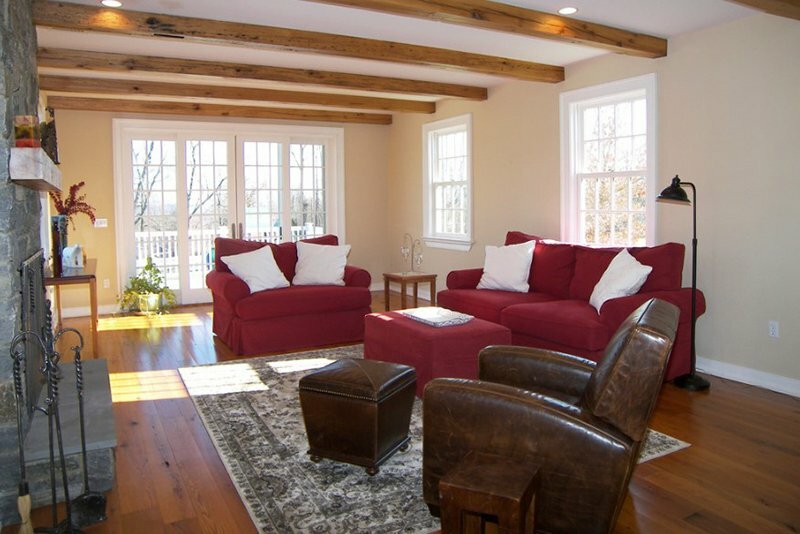 The flooding of natural light into the interior also added to the cozy feel of the home. Isn’t this lovely? It sure is! The brown chairs compliments with the wooden center table and the white colors also bring more sophistication to the living room. I also love that simple wall decor located in the dining area. This living area combines blue, brown and black. And surprisingly, they all work well together, especially that most of the space is painted white. 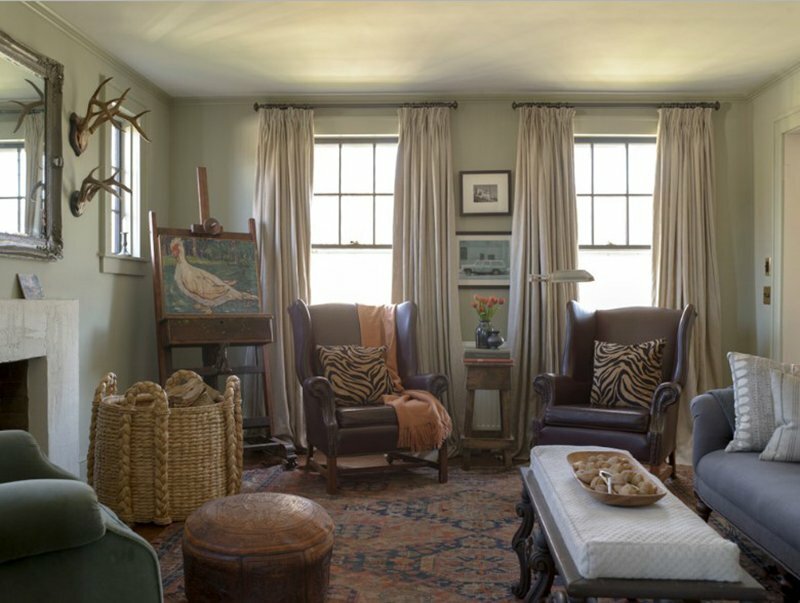 Two antique Le Corbusier leather chairs and a 1930s leather and metal club chair create a casual seating arrangement in this living room which was once a gardener’s residence. Aside from the chairs, there is also a brown leather ottoman that is being added to the living space. And a green love seat is also seen here as well. At one glance, you will immediately know that this is a luxurious home. 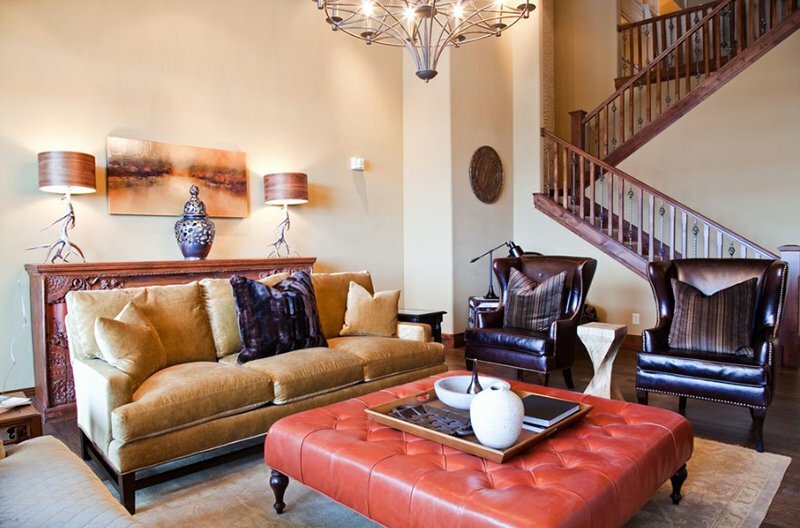 Aside from the curvy sofa and the beautiful accent furniture in the area, you can also see a pair of brown leather chairs. 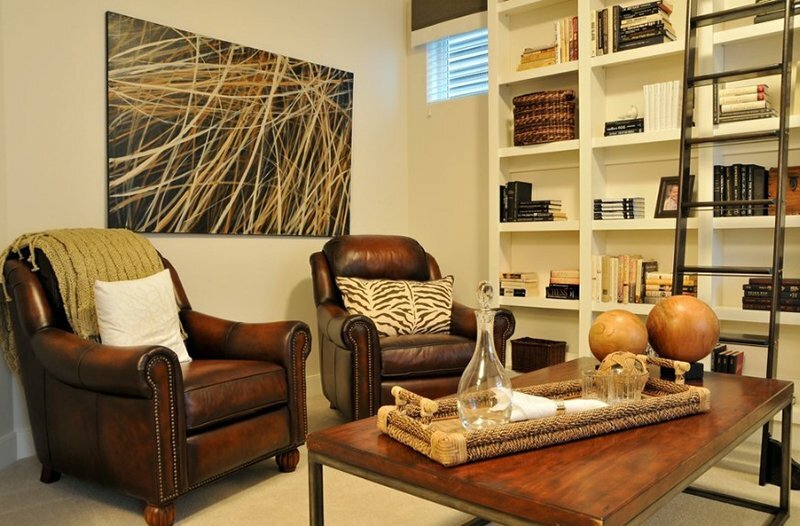 Bring in brown to a gray living area and for sure, it will never fail to add more beauty to it. For a farmhouse home, brown chairs are a must-have! It seems to complete the farmhouse feel in this living area. Prompt a light red ottoman as a center table and surround it with brownish chairs- if you do this, you will never go wrong! And look at those lovely lamps! 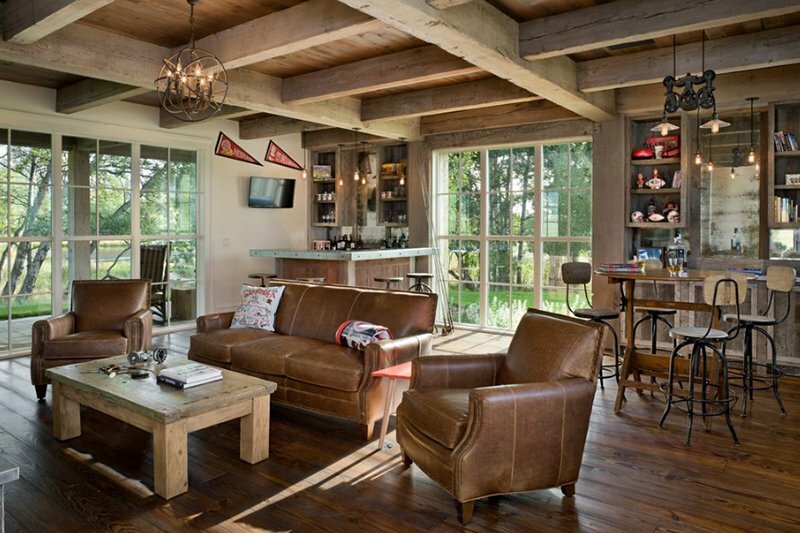 This space has a rustic appeal and brown leather chairs are perfect for this kind of space. It doesn’t look dark despite so many browns in the area. So, what can you say? Leather chairs indeed come in various designs and styles. Apart from that, even the shade of the color brown also varies from one chair to another. But the varying chair designs actually help us to see which one would look great in our spaces. It also gives us ideas on how the arrangement could be done. You can notice that whatever the space is, whether it’s traditional or modern, brown leather chairs look nice in it. Of course, the design of the chair contributes a lot to the appeal of the area. Which of the living areas above do you like the most?